I'm writing a post for the Cooking.SE blog, and am trying to find out the proper botanical term. Someone suggested that might be called the endocarp, but I want to make sure and also see if there is a more specific term. 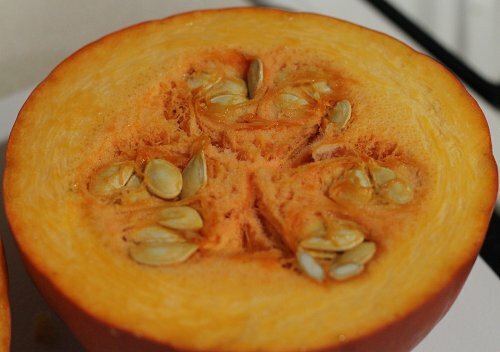 Am I reading correctly that the name for this part of the pumpkin is "placental tissue", and that the endocarp is just a thin layer on the seeds themselves? This part of the fruit is called "Endocarp". It does not become more specific as that, as far as I know. Not the answer you're looking for? Browse other questions tagged botany nomenclature or ask your own question. How do you call the species that gives its name to a upper-level clade? What's the name of this tree?